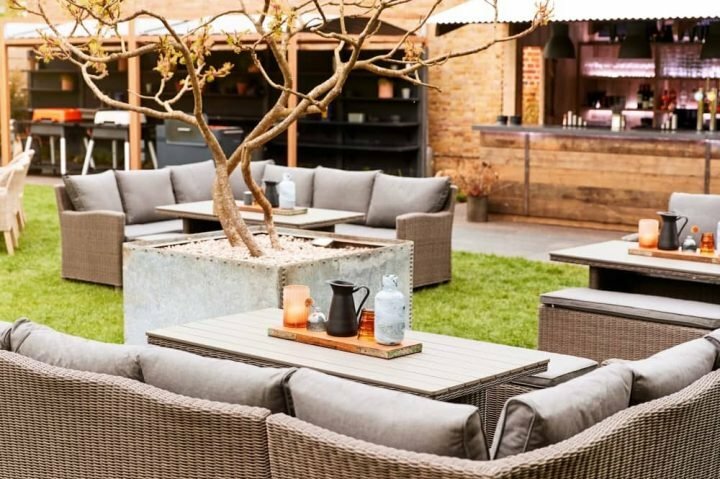 Mess about by the river, drink in the view and find enjoy total escapism at Boulters Restaurant & Bar. 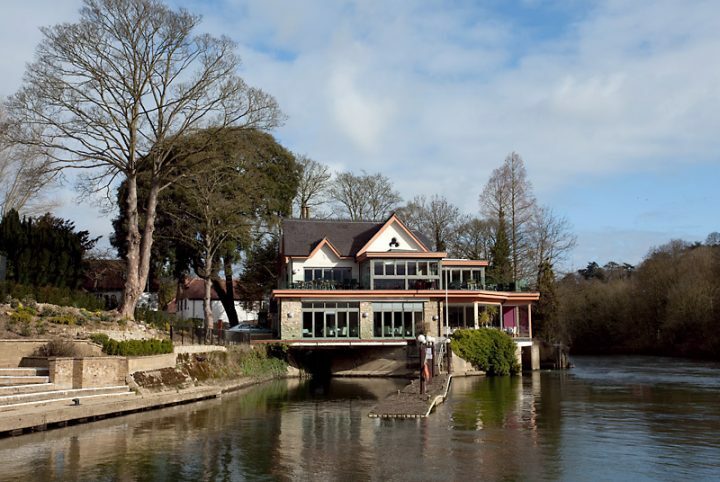 Head to east Berkshire and you’ll find one of the most beautiful stretches of the River Thames in Maidenhead. There’s a little urban sprawl to skirt around, but you pretty much avoid the town centre to get to this pretty spot – slow moving river, glossy cruisers and quaint narrow boats, gliding past the eye-poppingly expensive riverside houses. There’s money in these ere parts, no doubt about it. 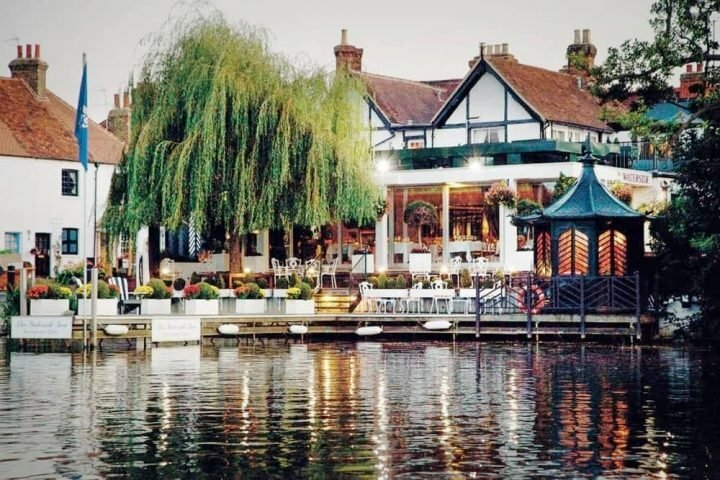 It’s surprising there aren’t more places to eat and drink along this stretch, but at the historic Boulters Lock Island you’ll find Boulters Restaurant & Bar. A restaurant so perfectly situated, once settled, you’ll never want to leave. Security! Boulters’ greatest asset is that river view. 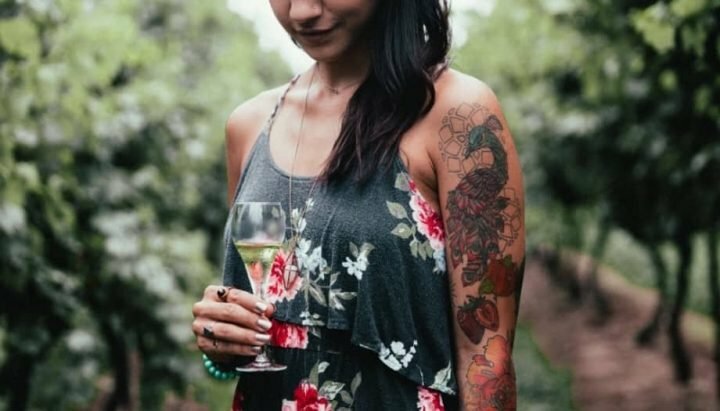 You could spend hours drinking and letting the stress of the day, week or month drain away (wine induced oblivion is a possibility), watching the boats and people pootling along. 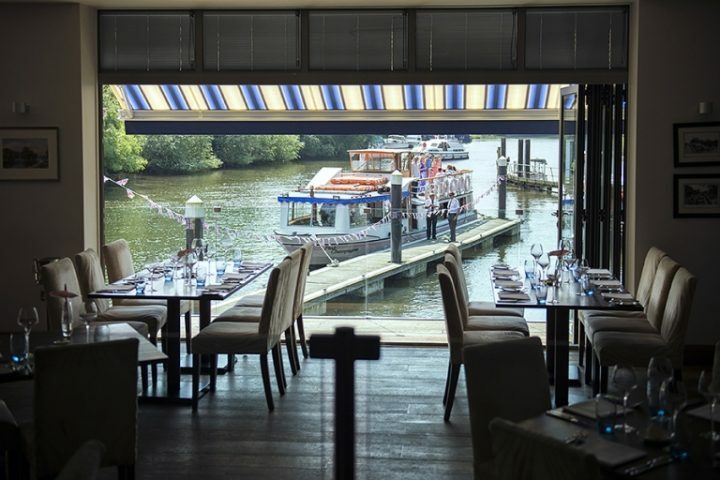 The interiors are contemporary, lots of glass to make the most of the location and when the sun shines the bi-folding doors are flung open and you could be in a grown up waterside eatery anywhere in Spain, France or Italy. But I guess that’s what the river’s all about – total escapism. Despite the grown up feel and proximity to water, Boulters is kid friendly. The atmosphere in both the Riverside Brasserie and upstairs in the informal Terrace Bar is welcoming and relaxed. 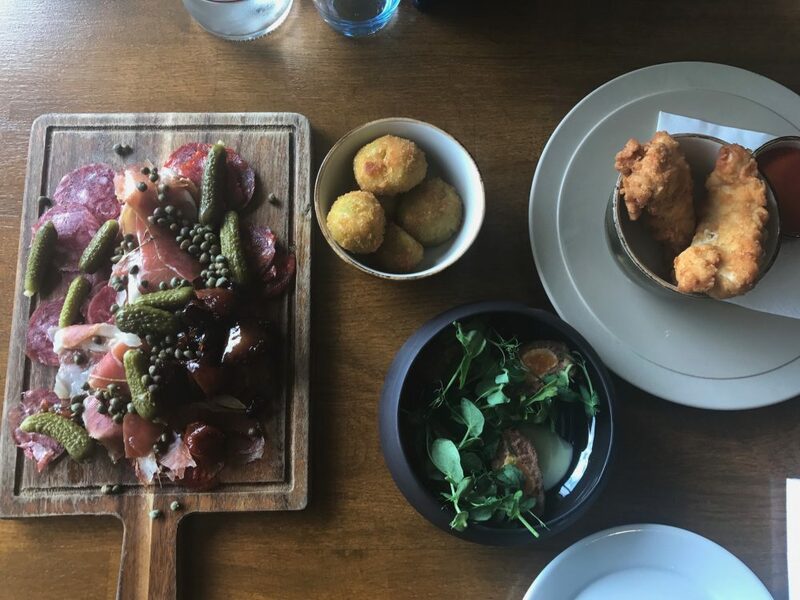 A children’s menu is available if you’re taking the small people out for a special occasion, and the Terrace Bar – a more girlfriendy/family space – is perfect for relaxed drop in with tapas, caesar salads and pub classics like fish and chips and burgers. If you taking small kids, bring table entertainment. The outside space and river limits their ability to roam. Let me tell you, you’re going to enjoy eating here. Head chef Dan Woodhouse has created menus that have something for everyone. 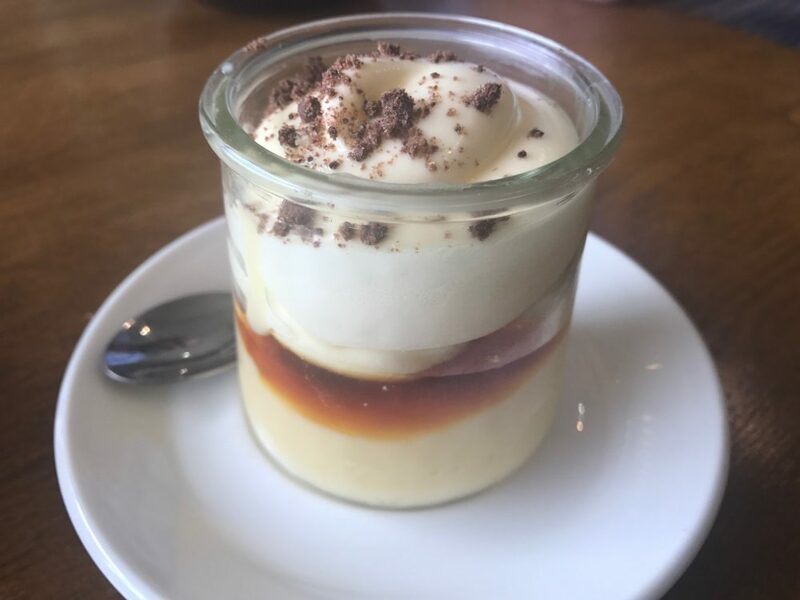 Doing the classics well, introducing tapas starters which are right up my street and the addition of small puds to the dessert menu for those us who struggle to have room for three courses. The small plates speak to me – yum a little bit of everything. With mains in the Brasserie that are full of flavour, well cooked and utterly delicious. I ate at lunchtime from the a la carte menu (but the set menu was seriously good value) and had a pleasingly European/ Modern British feel (catch that vibe while you can). Mr Muddy was my taster in crime and from the tapas starters we tried the award-winning Spanish meats, pesto and mozzarella aranchini, parmesan fried chicken and homemade spicy ketchup and chorizo scotch egg with tarragon mayo (all pictured above). I could have happily ordered these plates all afternoon. The cold meats and pickles were pretty big – no complaints from a greedy piglet like me and my fave dish was the scotch egg. But there was not a scrap of food left, so I think it is safe to say. We enjoyed it. 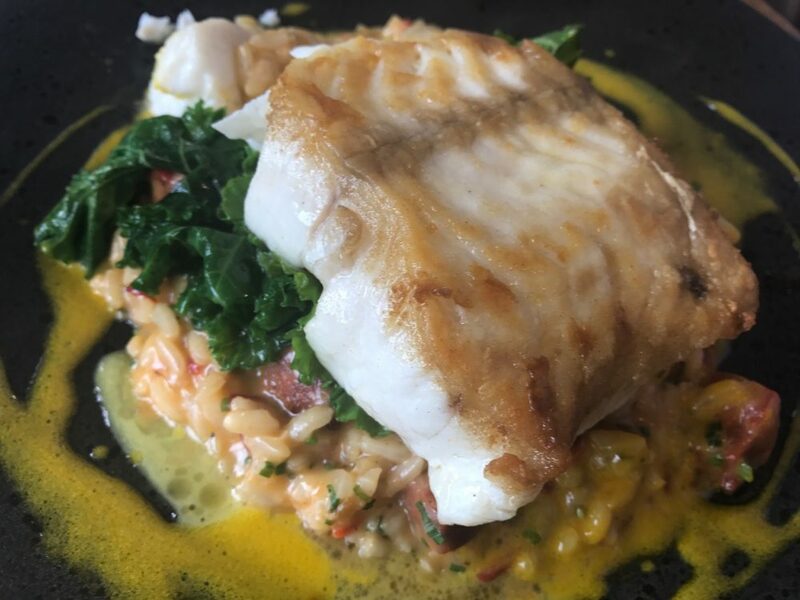 The main courses were full of flavour and cooked to perfection – breast of Gressingham duck, Lyonnaise onion tart, orange and pistachio was rich and meaty and the roasted Cornish hake with chorizo, red pepper risotto and saffron sauce was light, summery and seriously lush. 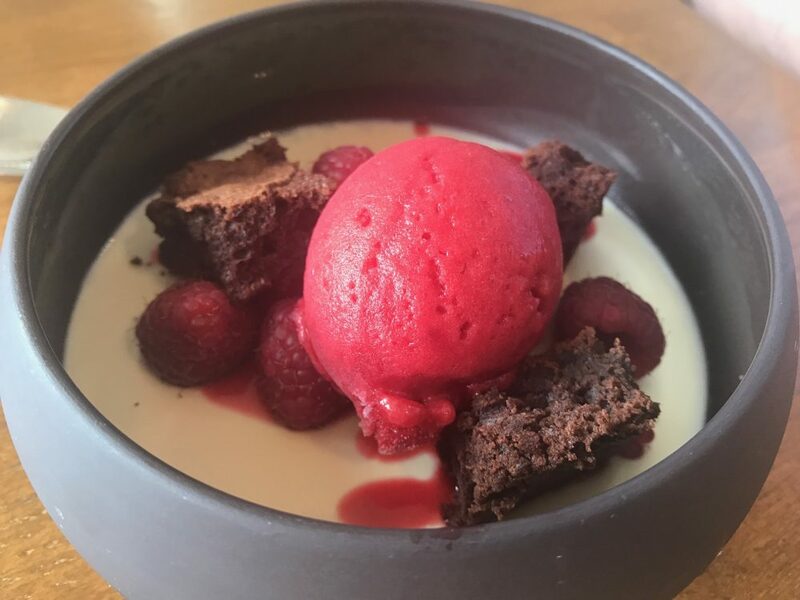 Dessert was fab too, a palm sugar and lime panna cotta with the most delicious raspberry sorbet really hit the spot and for those of you who only have room for a little pud, the addition of the the small pot dessert is genius. Set lemon curd with lime marshmallow and crumble was perfectly petit. Yes, if they’re well-behaved but I’m sure they’d be the first to admit that they’re friendly (there’s a dedicated children’s menu) rather than focused on children. If you do have hungry kids in tow, there’s the more informal Terrace upstairs, serving a delicious bar menu, but no real outdoor space for them to run around. Boat and people watching will certainly keep them entertained for a bit. 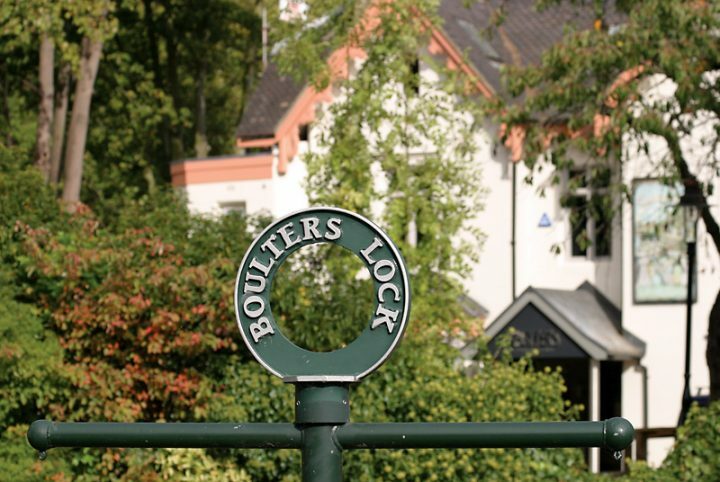 During Victorian times, Boulter’s Lock won fame – and notoriety – across the country as thousands of people flocked to the river here to mess about and watch the wealthier classes indulge themselves. It’s no different now, to be honest. If you’re lucky enough to have own river cruiser, good for you (still waiting for my invite though), the rest of us will have to make do with a walk. Gentle stroll or enthusiastic ramble, there’s something for everyone. The short Boulters Lock-Ray Mill Island loop is really popular, particularly with families. 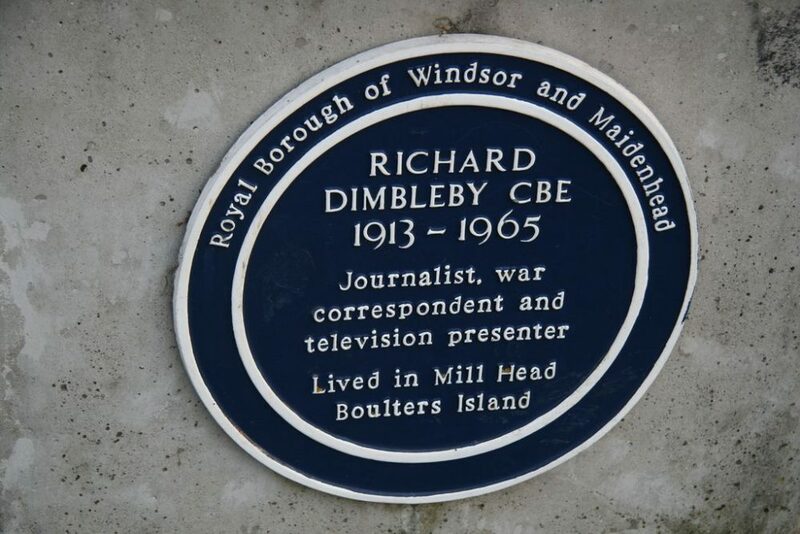 Stroll alongside the River Thames, check out the dramatic Boulters weir, the birds on Ray Mill Island and have a goosey gander at TV legend Richard Dimbleby’s old house and his blue plaque – he lived for many years on Boulters Lock Island. If you fancy a ‘proper’ walk. 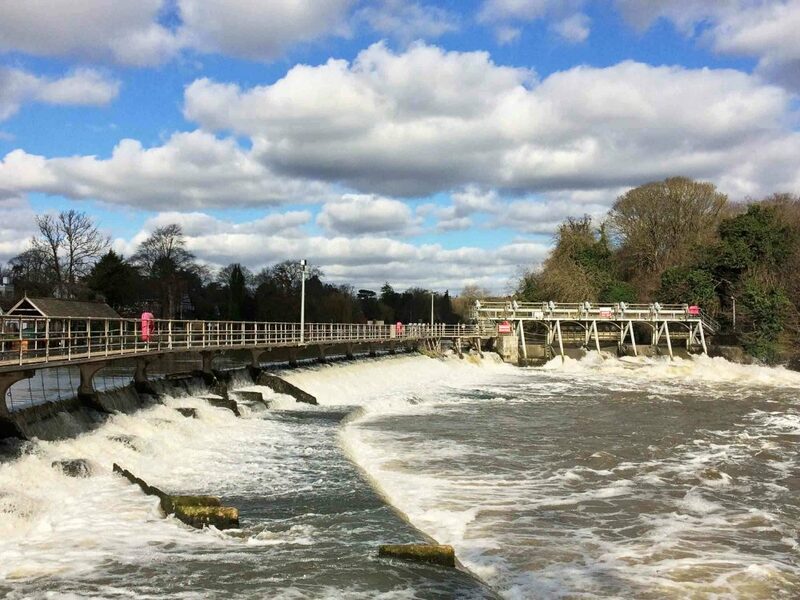 You can take a 5.5 mile circular hike starting at Boulters Lock, across farmland and meadow to Cookham and back along the towpath – taking about 2.5 hours. I’m exhausted just thinking about that one. 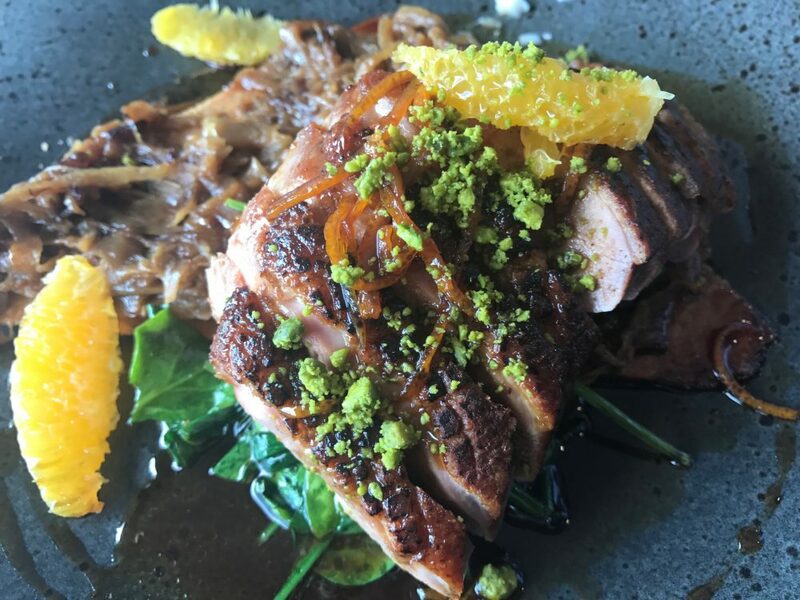 Good for: From date nights to business lunches and everything else in between – it’s great food in a dreamy, picturesque location. Romantics, large groups, special occasions are all perfect here. Not for: The Riverside Brasserie smart, relaxed and family friendly but the informal Terrace Bar will definitely cater for ankle biters. The Damage: Middle of the road. Tapas starters £3-5; mains £12-18.50, sirloin steak £24 (the most expensive on the menu); pudding £4.30-9. Two-course set lunch is £15.95 and three courses, £19.95. Boulters is open for brunch, lunch and dinner, Monday to Saturday, 10am-9.30pm. Sunday 12pm-3.30pm.